Product #5874 | SKU P3S | 0.0 (no ratings yet) Thanks for your rating! 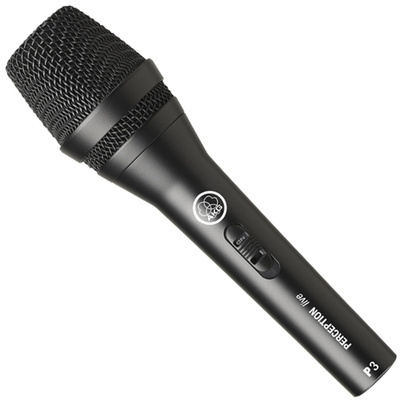 The AKG P 3 S Dynamic Microphone is an affordable, straightforward solution for capturing background vocals and instruments on stage and in recording applications. The P 3 S features a dynamic element, cardioid polar pattern, on/off switch and rugged all-metal construction.